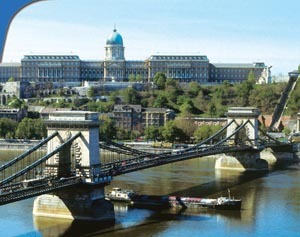 From 27–31 August 2006 in Budapest, 2 348 chemists and molecular scientists from 57 countries took part in the 1st European Chemistry Congress, cosponsored by the Gesellschaft Deutscher Chemiker, the Royal Society of Chemistry, and the Société Française de Chimi. The event was organized by the European Association for Chemical and Molecular Sciences (EuCheMS), registered earlier this year, but previously known as the Federation of European Chemical Societies, which was founded in 1970. The new association comprises 50 member societies from 36 countries, and has about 150 000 members. In the past, diverse national interests led to the proliferation of national chemical societies in Europe. EuCheMS was founded with the aim of joining efforts to promote chemistry—both inside and outside Europe—and to influence the EU government on the future development of the European Research Area. According to Congress Chairman Gabor Naray-Szabo, the congress aimed “to be a showcase for chemical sciences in Europe” by bringing together around 3 000 chemical and molecular scientists from around the world. The meeting consisted of around 1 400 oral and poster presentations, covering a broad range of chemistry and molecular science topics. Five Nobel-laureates, Paul J. Crutzen, Jean-Marie Lehn, George A. Olah, Kurt Wüthrich, and Ahmed H. Zewail, gave 60-minute plenary lectures. In addition, 10 distinguished scientists presented keynote lectures, including Dieter Seebach who gave the EuCheMS lecture on the biomedical potential of beta-peptides. Besides the four-day conference, various satellite activities were run in parallel, including the Environmental Chemistry Meeting, the First European Young Chemist Award Competition, and the launch of Molecular Frontiers, a global effort to promote the understanding and appreciation of molecular science in society. Page last modified 9 April 2007.